The Latino culture and its people have been part of U.S. fabric for as long as it has existed, back when the west and southwest states including California, Arizona, Colorado, Nevada, New Mexico, and Texas belonged to Mexico. As the United States’ boundaries changed and became the “Land of Opportunity” people from all over the world and especially Latino countries came in droves. Latino immigrants of all ages came with the high hopes of a better life, often escaping difficult, even dangerous, situations. Countries mired in civil wars made it hard for people to earn good livelihoods. And coming to America hasn’t always been easy, as most immigrants will tell you. Because although immigrant communities have a reputation for being closely knit, isolation and depression are all too familiar to many. 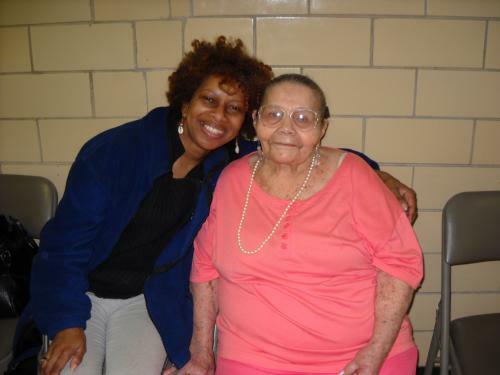 Project SHINE was created in Philadelphia, PA at the Intergenerational Center at Temple University by Nancy Henkin. She hoped that this new project would help ease the transition for older adult immigrants, who, after spending their entire lives in another way of life, have painful experiences integrating into a new culture. Project SHINE was just the beginning at Temple University; it runs at eighteen other campuses across the country. Through this service-learning program, college students serve as tutors, coaches, mentors of sort in ESL classrooms in community agencies that serve immigrants and older adults. This program not only benefits the older adults, who get to interact with college students, learn English, learn about America from one of its younger generations, they are also able to share their wisdom with young people, give first-hand accounts of what life is like in a part of the world that is unfamiliar to many people. This is a program that makes sense, benefits younger and older individuals, and meets a community need. 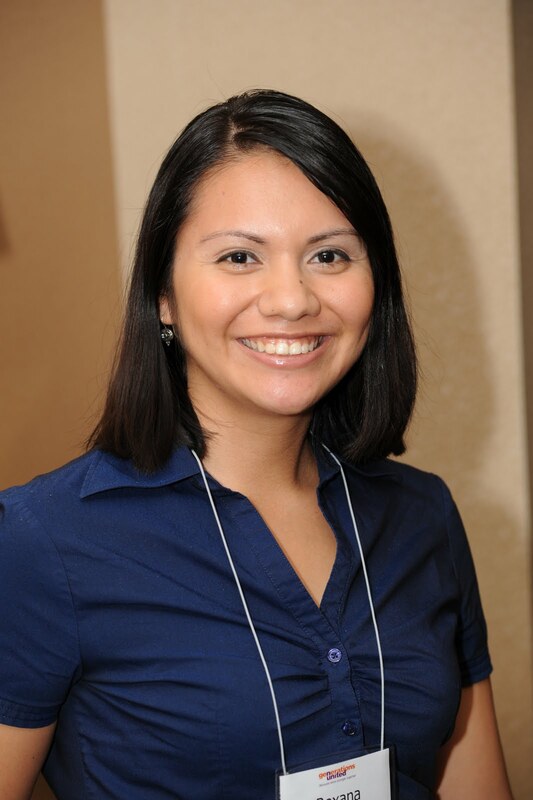 ~Roxana is blogging during Hispanic History Month about intergenerational programs and initiatives that serve Latino communities. This week (September 20-24) the Corporation for National and Community Service (CNCS) is celebrating the extraordinary impact of older adults through the first-ever Senior Corps Week! CNCS’s Senior Corps program provides service opportunities for adults age 55 and older to engage in activities that benefit community members of all ages. With the theme “Making a Difference for Generations,” Senior Corps Week highlights the powerful impact of 55+ volunteers and inspires others to get involved. The initiative recognizes that service by older Americans benefits everyone – it helps volunteers by keeping them active, healthy, and engaged; it helps our communities to have millions more skilled volunteers; and it helps our nation by saving taxpayer dollars, reducing healthcare costs, and strengthening civic participation. In a time of serious economic and social challenges, nearly 500,000 volunteers age 55+ are serving through Senior Corps' three programs – Foster Grandparents, RSVP, and Senior Companions. These individuals contributed more than 98 million hours of volunteer service worth an estimated $2 billion in 2009. Generations United is pleased to join in celebrating the impact of older adults in our communities and schools. To read more about intergenerational service opportunities, check out our fact sheet on the Kennedy Serve America Act. For more information on Senior Corps or ways to get involved, please visit NationalService.gov. Hispanic Heritage Month starts today. For the next 30 days Latinos everywhere will be celebrating our proud heritage. As a Latina born in El Salvador, I will as well. I moved to the United States when I was 7 years-old and one thing I missed most after leaving was my connection to extended family, particularly my grandparents who helped raise me for those first seven years of my life and whom I lived with at different periods. Those intergenerational connections are priceless. I know in the Latino community, they are as well. The challenge comes when families immigrate and those connections alter or break. One group that is meeting this challenge while focusing on meeting early childhood education needs of low-income, Spanish speaking immigrant children is Adelante Mujeres. Their Champions for Early Childhood Education (CECE) program does just that in a partnership with PODER Family Literacy. They engage local baby boomers in the Forest Grove, Oregon area to help in the classroom, one-on-one or small groups. Looking back on it, I wish there had been a program like this one when I had first come to the U.S. or that my parents would have known about one if it existed. Though, I think I managed to do pretty well all in all considering, having the familiarity of an older adult in a grandparent-like role may have made the transition better. Because of programs like these, immigrant children in that community will be better off. For more information on Adelante Mujeres visit www.adelantemujeres.org. Thank you to everyone who participated in our successful Call-In Day yesterday, Monday, September 13th. The Social Security For All Generations Call-In Day garnered 3,600 calls to federal lawmakers stressing the importance of Social Security for all ages. Through letters, e-mails, Tweets and online postings surrounding the day, thousands of Americans were informed about the support Social Security provides to many of our most vulnerable children and families. Special thanks go to our cosponsors: AARP, Child Welfare League of America, Children's Defense Fund, Grandfamilies of America, Easter Seals, National Committee of Grandparents for Children's Rights, North American Council on Adoptable Children, and Voices for America's Children. Stay informed by visiting our Social Security page or downloading our new fact sheet about Social Security's importance to grandfamilies (grandparents and other relatives raising grandchildren). Call NOW for Social Security! Today, Monday, September 13, 2010, is our Social Security for all Generations Call-In Day. Join us in telling Members of Congress that Social Security is vital - for ALL generations. Call 1-800-795-5336 to dial your legislator from 9 a.m. to 5 p.m. EST. 1. Dial 1-800-795-5336 and follow the prompt to enter your zip code. Then press "1" to connect to your first Senator's/Representative's office. Today, 6.5 million children receive benefits through Social Security. Social Security cuts would mean a considerable loss of economic security for children and break the promise of Social Security for all generations. Please tell the [Senator/Representative] to support children. Cuts to Social Security benefits to reduce the deficit would hurt children, families, and older adults now. 3. Most calls will end there. However, if you like, you can add another statement about why this is important to you. 4. Since all your Members of Congress have a stake in this debate, please call 1-800-795-5336 again to get connected to your other Members' offices. Once again enter your zip code, then press "2" to be connected to your second Senator. After you have called your Senators, please call again to select the option to connect to your Representative. President Obama has just issued a proclamation for National Grandparents Day! "Throughout our history, American families have been guided and strengthened by the support of devoted grandparents. These mentors have a special place in our homes and communities, ensuring the stories and traditions of our heritage are passed down through generations. On National Grandparents Day, we honor those who have helped shape the character of our Nation, and we thank these role models for their immeasurable acts of love, care, and understanding." Read the rest at the White House's website. We at Generations United wish all older adults a very happy Grandparents Day this Sunday, September 12!